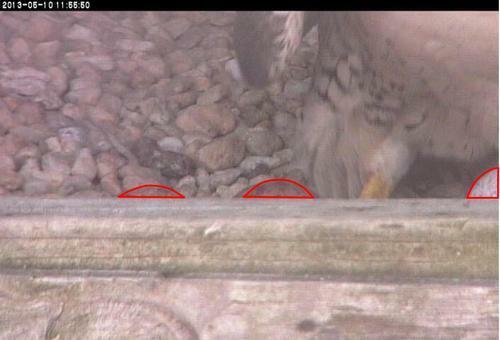 The position of the scrape in the nest box makes it very hard to see the eggs. We have been watching closely for any sign of additional eggs and finally caught a glimpse of a third egg just before noon today. We aren’t sure when this may have been laid – likely sometime yesterday or earlier today. We’ll continue to watch and see if a fourth egg is laid over the weekend.